(VEN) - The Ho Chi Minh City Tourism Development Steering Committee recorded 2,166,423 foreign visitors to the city in the first half of 2015, accounting for 57 percent of the country’s total, meeting 46 percent of the city’s annual plan and marking a three percent increase over the same period last year. 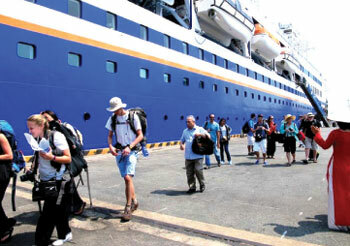 The city’s first-six-month total tourism revenue was estimated at VND47.25 trillion, marking a seven percent increase. To achieve these positive results despite decreased international tourist numbers in recent time, Ho Chi Minh City (HCMC) has continually focused on the development of tourism infrastructure, services and promotion at home and abroad. 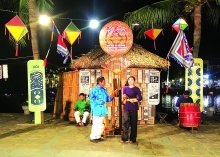 The city has increasingly focused on tourism promotion to gradually and professionally improve its tourism brand. For example, it has successfully organized the International Travel Expo, which was organized for the first time in 2005 themed Three Countries – One Destination, in 2010 themed Four Countries – One Destination and in 2013 themed Five Countries – One Destination, with the intention of promoting tourism development cooperation between Vietnam, Cambodia, Laos, Myanmar and Thailand. These international travel expos were organized professionally with a series of programs to improve links between travel companies with commercial and common visitors, local tourism promotion agencies and tourism related service providers, and to introduce new tourism products to potential tourism markets. According to Deputy Director of the Ho Chi Minh City Department of Culture, Sports and Tourism La Quoc Khanh, Ho Chi Minh City, as one of the country’s largest tourism centers, has been impacted by global tourism trends and increasing international integration and will continue to plan and organize a series of sports, tourist and cultural activities, while calling for private investment in sustainable tourism development. To complete its annual objectives, the city will focus on the improvement of its tourism products and service quality, especially waterway tours and piers, and tourism promotion programs. In addition, it will coordinate with related agencies and departments to ensure safety for tourists to the city. In recent years, Ho Chi Minh City’s tourism sector has contributed significantly to municipal economic development, accounting for about 11 percent of the city’s gross domestic product (GDP) on an annual basis. This year, the sector has decided to focus on the improvement of tourism products and service quality and expected to welcome about 4.7 million international visitors, a seven percent increase compared with 2014, and more than 19 million domestic visitors, a 13 percent increase.